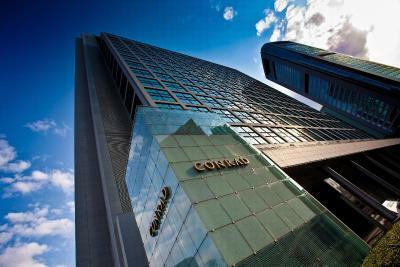 Lock in a great price for Conrad Tokyo – rated 9 by recent guests! People who work at hotel. Simon. Suruchi among the many staff that were great! The staff was very friendly & helpful cl. Very clean property & very central. The executive room was very nice, great views and facilities. Good energy over all. Nice afternoon tea and breakfast. Very service minded and nice staff. I would definitely recommend this hotel. We had a great time! 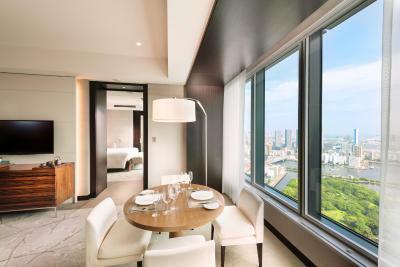 Conrad Tokyo This rating is a reflection of how the property compares to the industry standard when it comes to price, facilities and services available. It's based on a self-evaluation by the property. Use this rating to help choose your stay! 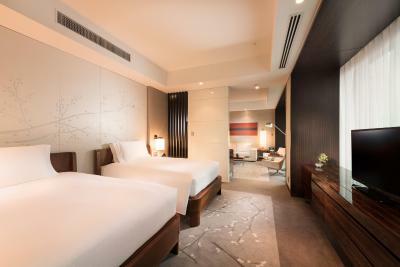 One of our top picks in Tokyo.Located in the heart of Tokyo, just a few steps away from Ginza, the world-famous shopping and entertainment district. 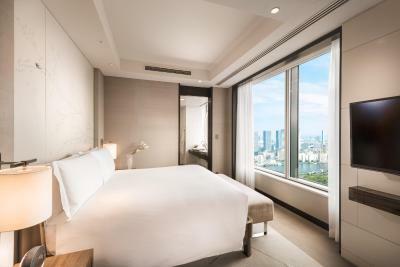 Conrad Tokyo features rooms furnished with modern decor, award winning restaurants and a 29th-floor spa with beautiful city views. It ranked 1st as the most popular Japanese hotel for international travelers by TripAdvisor 2015. 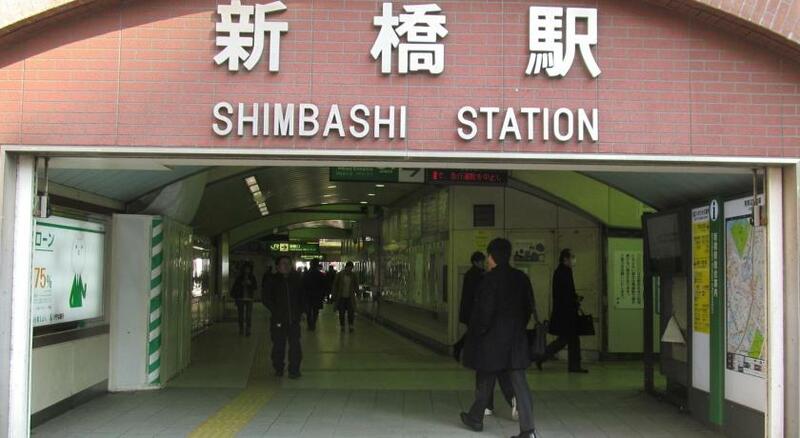 Shiodome Subway Station and JR Shimbashi Train Station are both located within a 5-minute walk from the hotel. 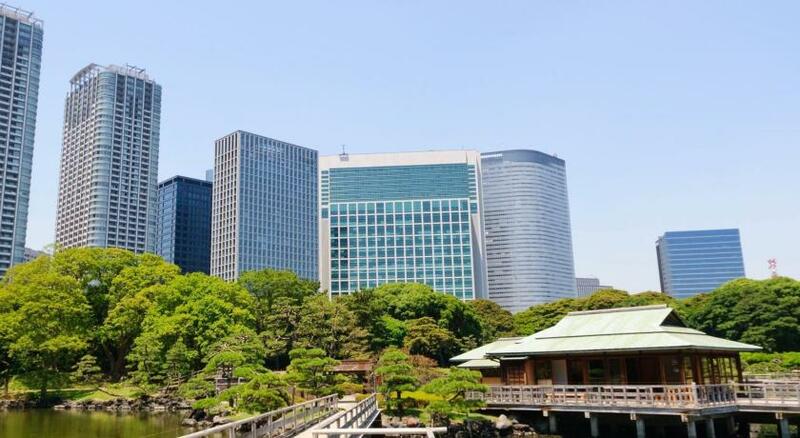 Tokyo Big Sight Exhibition Center can be reached with a 25-minute monorail ride while the Imperial Palace is a 15-minute drive away. 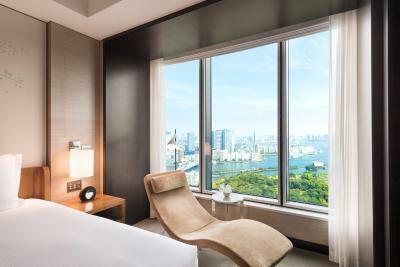 Rooms at the Conrad are among the largest in Tokyo, and feature panoramic views of Hamarikyu Gardens or Tokyo Bay through floor-to-ceiling windows. 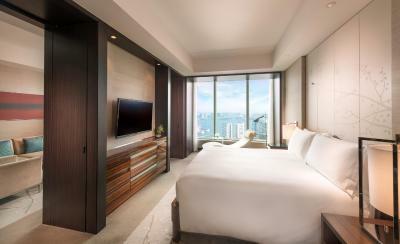 Rooms come with a mini-bar, a flat-screen TV with a VOD system and a DVD player. Also offers a bathroom with rain shower. Wired and wireless internet access is available at an extra charge. 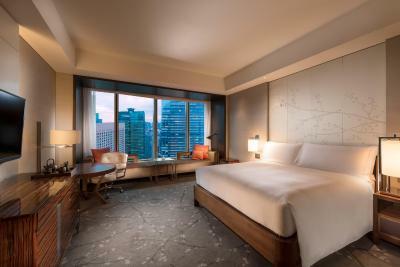 Guests can swim laps in the picturesque free-use indoor pool or work out to views of Tokyo in the spacious fitness center. 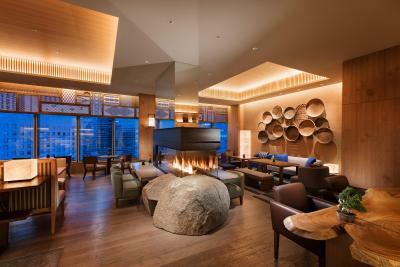 Mizuki Spa offers private treatment rooms and a variety of relaxing massages. 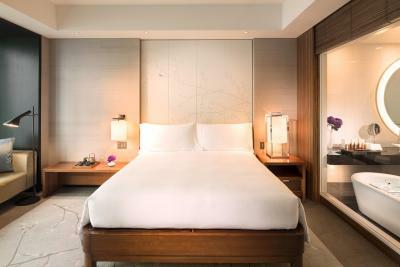 When would you like to stay at Conrad Tokyo? 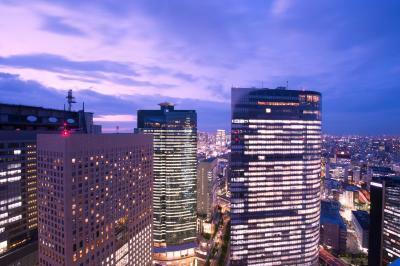 Features panoramic views of Ginza and Shiodome. This modern room has a cherry blossom painting and a traditional lantern style lamp. Includes a mini-bar, and a flat-screen TV with a DVD player. 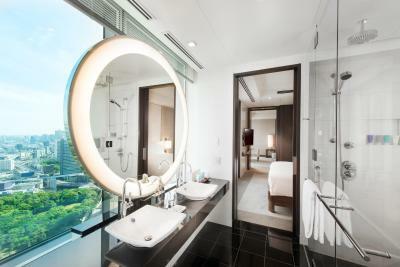 The stylish bathroom has white marble basins and is separated by a glass partition. 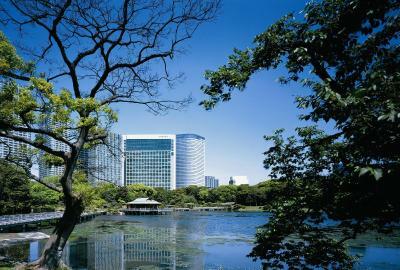 Private parking is available on site (reservation is not needed) and costs JPY 4000 per day. 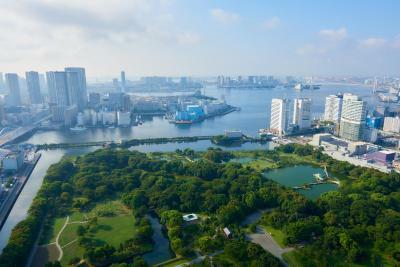 Features panoramic views of Royal Hamarikyu Garden and Tokyo Bay. This modern room has a cherry blossom painting and a traditional lantern style lamp. Includes a mini-bar, and a flat-screen TV with a DVD player. 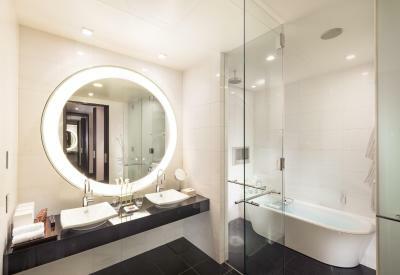 The stylish bathroom has white marble basins and is separated by a glass partition. An extra bed is provided for reservations for 3 people. 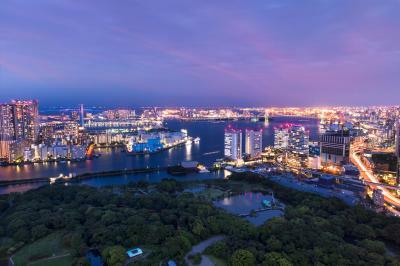 Features panoramic views of Royal Hamarikyu Garden and Tokyo Bay. 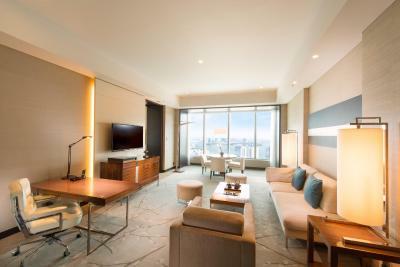 This modern room has a mini-bar, and a flat-screen TV with a DVD player. 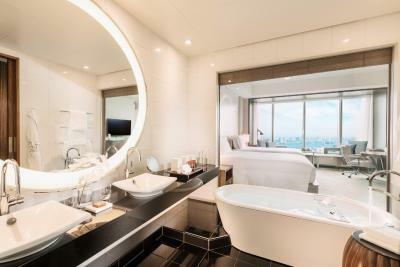 The stylish bathroom has white marble basins and is separated by a glass partition. 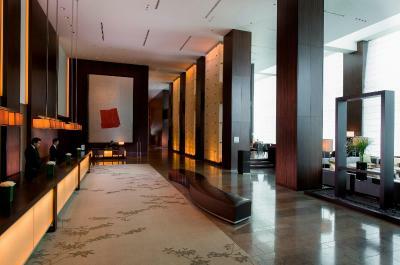 Includes access to the Executive Lounge with private check-in and check-out, and other business services. Complimentary breakfast and refreshments are available. 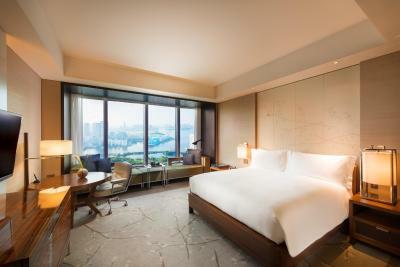 This spacious modern room offers panoramic views of Royal Hamarikyu Garden and Tokyo Bay. Includes a mini-bar, and a flat-screen TV with a DVD player. Features a separate living room and walk-in closet. 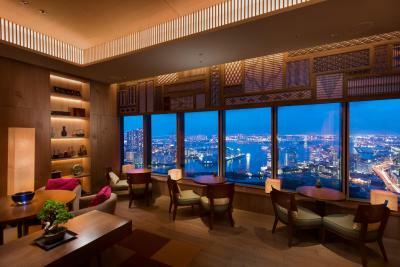 Features panoramic views of Royal Hamarikyu Garden and Tokyo Bay. 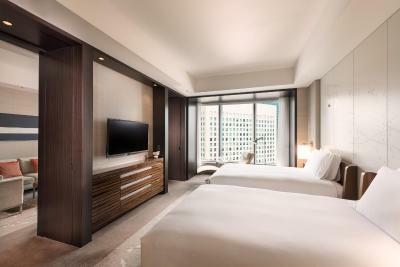 This spacious modern room has a walk-in closet and a separate living room with a mini-bar, and a flat-screen TV with a DVD player. 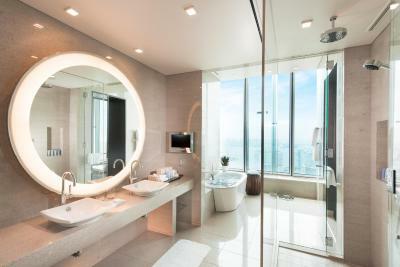 The stylish bathroom has white marble basins and is separated by a glass partition. 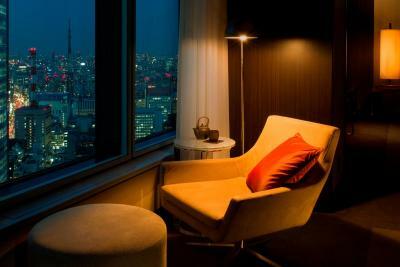 Includes access to the Executive Lounge with private check-in and check-out, and other business services. Complimentary breakfast and refreshments are available. 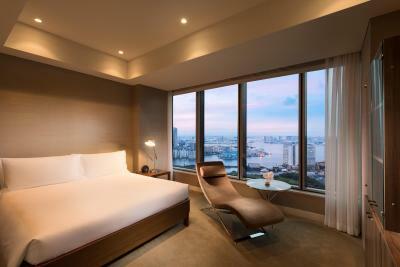 This spacious modern room offers panoramic views of Ginza and Shiodome. Includes a mini-bar, and a flat-screen TV with a DVD player. Features a separate living room and walk-in closet. 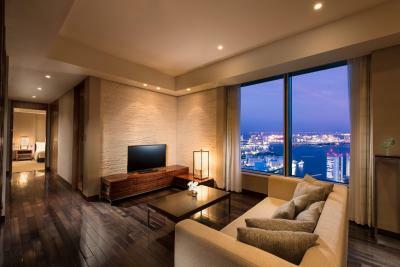 Features panoramic views of the city. 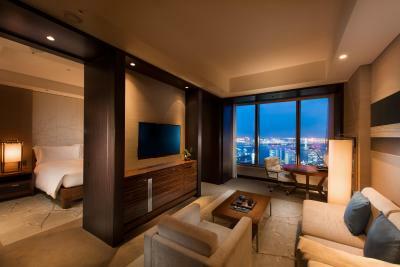 This modern room has a mini-bar, and a flat-screen TV with a DVD player. 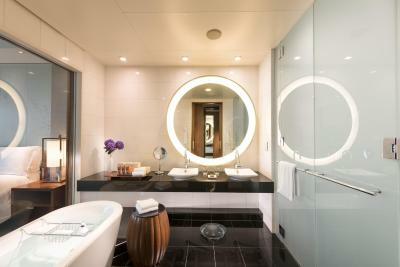 The stylish bathroom has white marble basins and is separated by a glass partition. 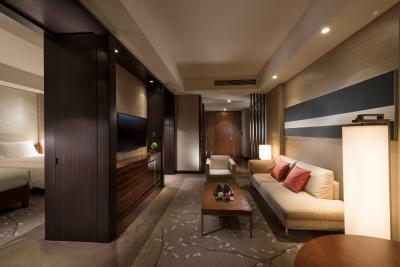 Includes access to the Executive Lounge with private check-in and check-out, and other business services. Complimentary breakfast and refreshments are available. 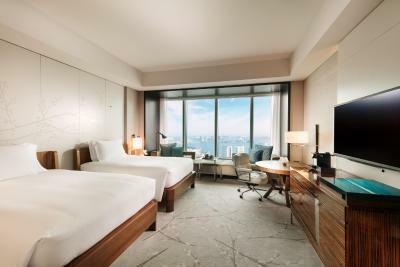 Spacious room featuring a contemporary interior with panoramic city views, a walk-in wardrobe and a living room with a sofa and a wall-mounted flat-screen TV and a DVD player. A mini-bar and bathrobes are provided. 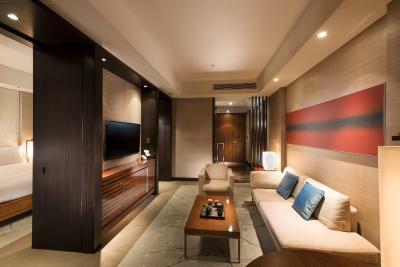 Includes access to the Executive Lounge with private check-in and check-out, and other business services. Complimentary breakfast and refreshments are available. 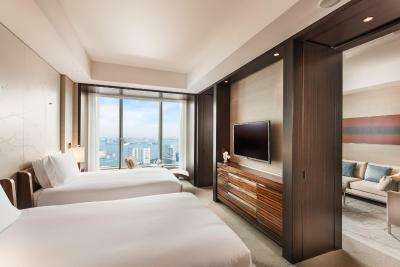 Spacious room featuring a contemporary interior with panoramic views of Royal Hamarikyu Garden and Tokyo Bay, a walk-in wardrobe and a living room with a sofa and a wall-mounted flat-screen TV and a DVD player. A mini-bar and bathrobes are provided. 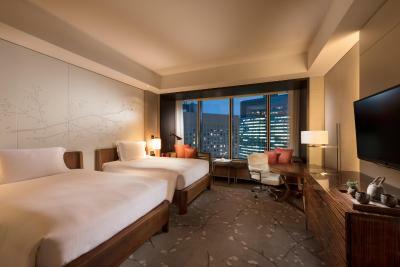 This spacious modern room offers panoramic views of Ginza and Shiodome. 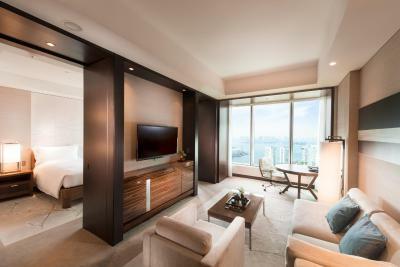 Features a walk-in closet, mini-bar, flat-screen TV as well as a stylish bathroom with glass walls and a marble sink. 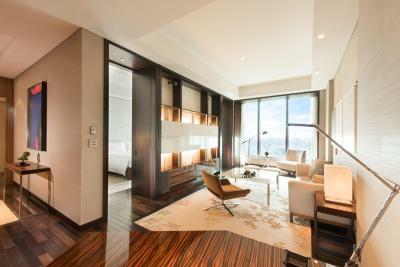 This suite features a bathrobe, air conditioning and dining area. 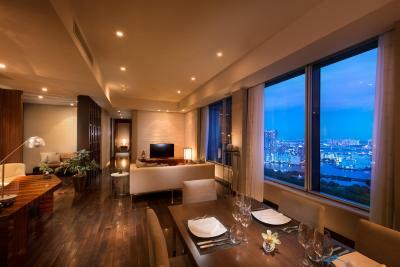 This suite has a dining area, air conditioning and flat-screen TV. 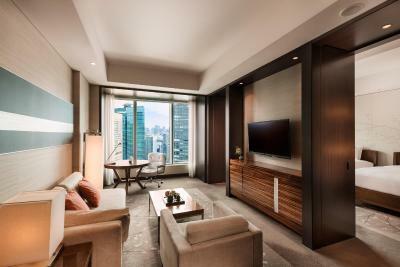 This suite features a mini-bar, satellite TV and seating area. 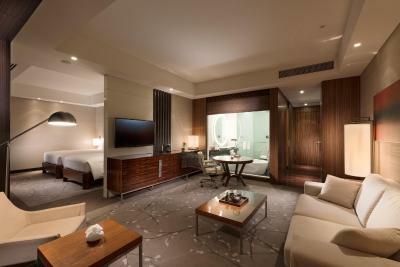 This suite has air conditioning, electric kettle and dining area. 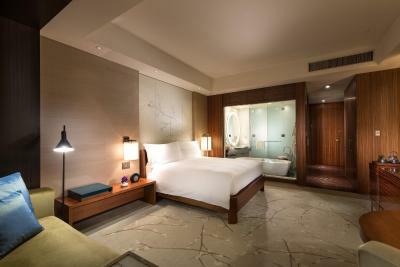 House Rules Conrad Tokyo takes special requests – add in the next step! 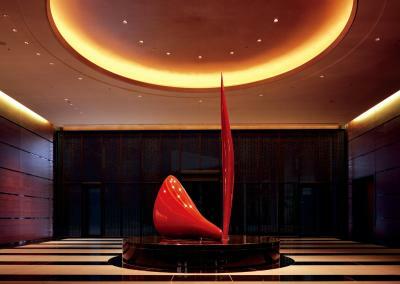 Conrad Tokyo accepts these cards and reserves the right to temporarily hold an amount prior to arrival. 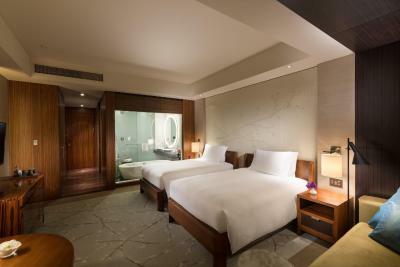 Due to limited availability, guests planning to use an extra bed are requested to contact the hotel in advance. The pool is open from 06:00 until 22:00, with last admission at 21:30. Children (aged 4 to 15) may use the pool from 09:00 until 19:00.